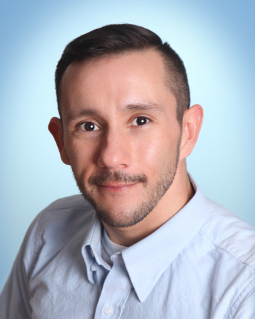 Jorge E. Maciel, Ph.D. - EXCET, Inc.
Dr. Maciel joined Excet, Inc. after completing of a National Research Council (NRC) Post-doctoral Research Fellowship with the BioDefense Branch, and was the recipient of a 2008 U.S. Army Seedling Initiative Program. In addition to his laboratory experience working with various biological agents, Dr. Maciel successfully developed a novel portable ricin activity detection substrate and assay. He was competitively awarded, and served as Principal Investigator for, a multi-year Defense Threat Reduction Agency program to utilize new molecular display technologies to identify and create novel thermostable ligands for biological agents of interest. In addition, Dr. Maciel has extensive experience in the evaluation of next-generation sequencing technologies and the use of resulting data sets for statistical identification and characterization of microorganisms in simple or complex sample matrices. Dr. Maciel currently serves as both a Senior Research Scientist and as the Lead Supervisor for Excet, Inc. research scientists and support staff at ECBC. He received his B.S. from the University of Notre Dame (South Bend, IN) and was awarded his Ph.D. in Molecular Microbiology and Immunology from Johns Hopkins University Bloomberg School of Public Health (Baltimore, MD).